Shore Kittens is a small Cattery located at the beautiful Jersey Shore, in Ocean County, New Jersey. 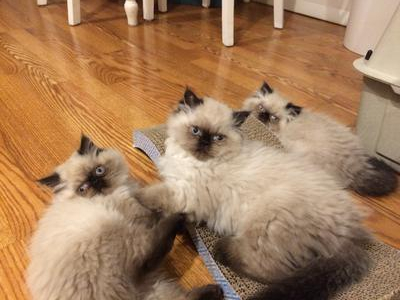 We have been breeding Himalayans since November 2016. We have also been cat lovers and owners all our lives. Our kittens are bred under toe to be healthy and lovable. Our cats roam our home, which is smoke free. Our kittens are health guaranteed. Our cattery is FELV/FIV, PKD DNA neg., and ringworm free. The colors we are working with are Seal, Tortie, Flame, Blue, Blue cream and rare Chocolate points. We also work with Persian solids.